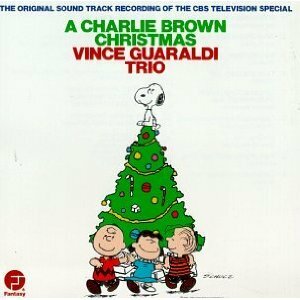 Merry Christmas to those who are celebrating today! We had planned to trek to Minneapolis to celebrate Christmas with my family, but my sweet Kylie cat has had some health problems, so at the last minute we've decided to stay here in Chicago. The vet has prescribed three pills a day, and she needs to be kept quiet and monitored. Kylie's so happy to be home from the vet, and she's all curled up in a heated cat bed that was a thoughtful gift from a friend. I'm still chugging away on the handknit gifts. Spending Christmas in Chicago is actually giving me a bit of grace time here! Snow is gently falling, the tree is lit up, and cookies have been baked. The cabled earflap hat is off the needles! I'm modeling it along with the Awbrey cowl in their unblocked states, as I'd like to wash them before giving them as gifts. I'll add braids to the earflaps, as per the pattern, post blocking. Details for the cabled cowl are here. 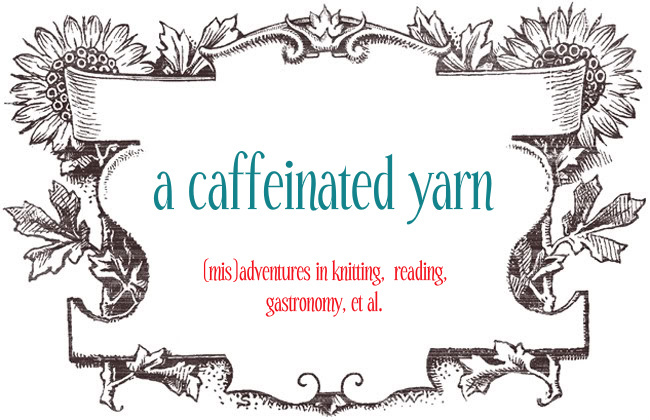 The yarn is just delightful to knit, and the pattern is clear and easy to follow. The cables are a bit complicated, so you can't just zone out, but they're not too tricky. I worked 3 pattern repeats rather than 4, and it's plenty big. I'll definitely be knitting this pattern again, as I want one for myself! Wonderful squishy yarn in beautiful blues! The pattern is very well-written, and seeing the acorns emerge is delightful. I still need to block this, but the next few days are going to be hectic, so I'd better document it now. This truly was a quick knit, and the thick cables are super cozy. The Russian lace bind-off that Stacey suggests is easy and very effective. The slightly flared shape is perfect -- it keeps the top (cast-on edge) from being saggy, and allows the bottom to flare out a bit where your neck meets your body. My first time using Malabrigo Chunky! 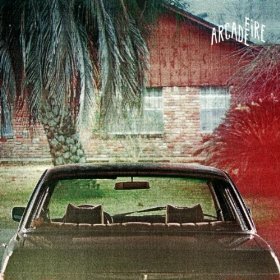 Wonderful stuff -- very soft and cozy, and less fragile and prone to pilliness than the worsted since it has more plies. I love this colorway in the skein, but I was afraid that it would look horrible knit up. As it turns out, it's still lovely! I'm knitting a cozy cabled hat with earflaps to match! These cables are more complicated, but they're fun to work. The pattern's another freebie -- Snowboarder Hat that Rocks by Irishgirlieknits. So cute! I was halfway through the fourth repeat of the cable pattern when I noticed that it was looking awfully tall; I ripped back a bit to do just three repeats before starting the decreases. I'll definitely knit this pattern again! 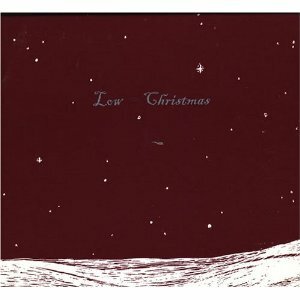 Low's Christmas EP, a (post)modern classic. 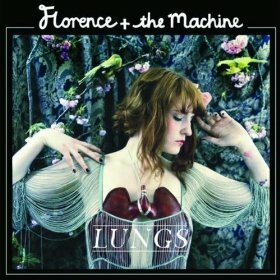 Low hails from Duluth, by the way. 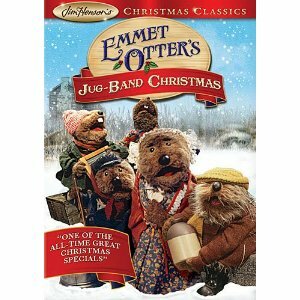 Paul watched Emmet Otter's Jug-Band Christmas many times when he was a kid, but it was all-new to me this year! In a word, awesome. It's a Jim Henson piece, with plenty of Appalachian folksiness, mixed with a battle-of-the-bands with some super-psychedelic rockers. Very sweet, plus you can see forerunners of many Muppet Show characters. We also watched The Holiday, which is a mixture of treacle and charm, with bad acting by Cameron Diaz in particular. That said, the set designers are geniuses I want to move into Kate Winslet's darling cottage in Surrey posthaste. Plus all the meta bits about movie-making were fun. I rather think that if casting had been done differently (Diaz and Jack Black), this could have been a great guilty-pleasure romantic comedy. We decorated the tree while sipping fresh grapefruit juice & gin cocktails concocted by Paul and listening to the Magnetic Fields. A very hipster Christmas, I suppose. P.S. Have you read Neil Gaiman's piece on persuading his parents to get a Christmas tree yet? I switched to smaller needles than this time, and it worked perfectly! The cables are squooshier and cozier, and I managed to knit the whole pattern this time using just one skein of yarn. The yarn is madelinetosh tosh merino (in "saffron") -- it is bleeding like crazy, not just on my needles while I knit, but all over my white shirt. Boo. :-( We’ll see how much good a wash with vinegar does… Great pattern, though -- very fun to knit. Next I'm casting on for Acorns (which comes with instructions for both worsted-weight and chunky versions!). 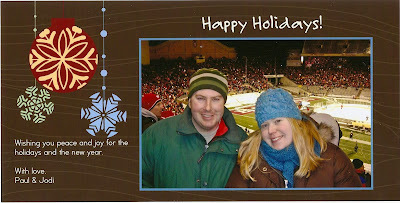 The Christmas budget is a bit leaner than usual this year (due to acquiring Jeep #2), so it's handknit hats for everyone! I'm still loving them, but the autumnal colors no longer seem quite so apropos after we saw 9" of snow fall while I was in MN. The snow was just beautiful, and I got to trim the tree, decorate the china hutch, and bake pfeffernüse with my mum. The new Johanna quilt is just perfect for winter. Capricha has taken to spending every morning snuggled up in the down comforter at the end of the bed. Smart girl! - Ysolda has put her Last-Minute Stockings pattern on sale. I'd *just* been thinking about knitting some stockings to hang over the fireplace. 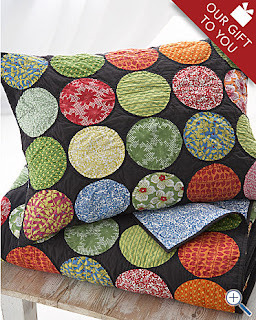 - Jane Richmond is having a 50% off pattern sale. Hurray, as I've been eyeing the Oatmeal Pullover pattern for quite some time, and winter break seems like the perfect time to knit one. Delightful! Richard Armitage, be still my heart. I'm not sure if the stars aligned correctly last year, or if I really concocted the best variation on buckeyes / peanut butter bonbons ever. These received RAVE reviews from everyone. People at parties asked who made them and then grilled me on my recipe. I received emails asking for the recipe. The secret? They're vegan. Also, mix everything very thoroughly. Melt Earth Balance. Using a hand or stand mixer mix melted Earth Balance with peanut butter. Gradually beat in powdered sugar. Roll into balls, chill 1 hour. Melt chocolate and paraffin, dip balls into chocolate. Chill. Makes about 150 or so. My new Johanna quilt from Garnet Hill arrived today! I love it. The prints are designed by Snow & Graham, a local Chicago company, and the mix of modern prints and black paired with a traditional design make for such a cute and different look. - These super cute knitting-themed note cards at Papersheep would be a perfect gift for a knitter! 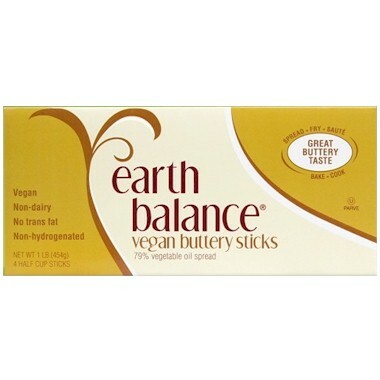 I found these via Design*Sponge and immediately ordered some. - Penzey's extracts gift box is a delight for the baker! I love Penzey's spices (based in Wisconsin, of course, as many good things are). I'm especially enamored of their vanilla sugar and natural cocoa powder. Also, the new baking mini gift box would make a lovely hostess gift. Back soon with photos of a handknit scarf and beret for my mum.